Jeff Chapman is a seasoned performer, vocalist, bandleader, and song writer. Jeff has absorbed everything musically since his childhood, drawing from his Southern Gospel roots, traditional country, southern rock and blues. Jeff's song writing encompasses all of those early influences creating unique original tunes, that include every day life. From blue collar factory worker, love lost & found, tongue in cheek, and raucous boogie songs. 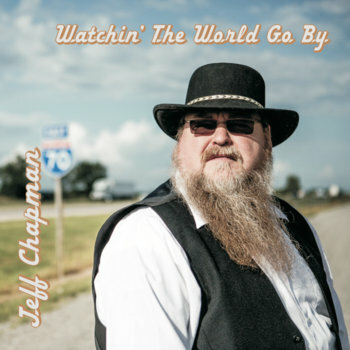 From a solo acoustic performance, to the full presentation of his Brother Jefferson Band, Jeff Chapman continues to entertain audiences throughout the Midwest and beyond, always striving to give those in attendance, the best musical experience possible. Whether through live performance or recording, in his own words, "the music always comes first"! Links for new single "Train Left The Station (2018)"
Warm food for the tummy, warm tunes for the soul. Family friendly, free admission. Jamming the classic electric blues with Rich & the Renegades! $5 at the door. Avaiable at all Live Shows with more options coming soon!